Alnylam reported more data from the Phase III ENVISION givosiran study at EASL, further demonstrating the strong efficacy profile and an acceptable safety profile. Data from the Phase II OLE study of lumasiran continues to suggest meaningful efficacy and good safety in this rare disease, with pivotal data coming late this year. 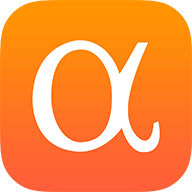 Alnylam shares remain undervalued, but investors should not ignore the pipeline risks (efficacy/safety), nor the commercialization risks (competition, patient identification, reimbursement/pricing). Even as Alnylam (ALNY) works toward its second commercial drug filing, questions remain about the safety and efficacy of givosiran, not to mention the platform as a whole. But with good full Phase III data on givosiran and encouraging open-label extension data on lumasiran over the last few days, the story has gotten a little better in my view. These shares still remain undervalued, but there remain numerous risks including FDA approval, the efficacy and safety of the lead pipeline candidates, competition, and challenges related to commercialization, including identifying patients and securing reimbursement. Alnylam had previously released top-line data for its late-stage candidate givosiran, but during this past weekend the company presented more complete data from the Phase III ENVISION study. Although I would not characterize the data as thesis-changing, thesis-confirming is still a positive in my view. In my view, the ENVISION study amply demonstrated the efficacy of givosiran, an RNAi compound that works by targeting the ALAS-1 mRNA strand and reducing the production of ALA and PBG (neurotoxic heme intermediates that are believed to cause most of symptoms of hepatic porphyria, including pain). As previously known, the drug produced a 74% reduction in mean annual attack rate, with a mean composite attack of rate of 3.2 in the givosiran group and a 12.5 rate in the placebo group. The drug also produced a 90% median reduction in attack rate, and 50% of the patients were attack-free durin the study (versus 16.3% in the placebo group), and there were reductions across all sub-groups. The givosiran group appeared to be sicker/more serious on balance, with a baseline of 8 attacks per year going into the study (versus 7 for the placebo group), a slightly higher balance of hemin and opioid use and noticeably higher levels of liver enzyme elevation and chronic kidney disease. In addition to the reduction in attack rate, givosiran produced a 77% reduction in days of hemin use – hemin helps prevent/moderate attacks, but it can cause phlebitis and iron overload among other issues. On other secondary endpoints, givosiran did reach statistical significance of reductions in ALA and PBG, but missed endpoints relating to pain, fatigue, nausea, and a composite measure of daily function. There were definite positive trends in pain and daily function (statistical “near-misses”), and some improvement in fatigue and nausea. There weren’t many remaining concerns about efficacy going into the full study results report, but there are still some questions about which benefits most benefit. Looking at the statistical info provided, it’s pretty clear that many, but not all, patients see meaningful benefit and identifying those patients most likely to benefit will be an important part of the commercialization and marketing process. There were some safety concerns going into the final results, and I think the company has largely put those to rest. While 21% of patients (10) did see serious adverse events, only three of those were deemed drug-related, including one case of liver enzyme elevation and one of CKD. Kidney dysfunction was flagged as an issue before, with 5 patients experiencing CKD, but four of the five had a prior history of CKD before entering the study and most seemed to stabilize after around 90 to 120 days on the drug. I could easily imagine some warnings on the label and requirements for kidney function monitoring while on the drug, but that is already standard of care in porphyria anyway. Porphyria is a fortunately rare disease, but it is also under-diagnosed, with Alnylam management estimating only a 20% rate of diagnosis. While the company’s existing Alnylam-ACT genetic testing program should help identify more patients, it remains to be seen what impact this will have on the addressable market. The biggest remaining question in my mind is how much of an impact this drug has in patients with less severe, more sporadic forms of the disease. That answer is not yet clear to me from the data presented; I’m confident the drug works well in serious patients, but I’m not sure how that scales down with lessening severity. That matters, because while the symptoms of porphyria can be cryptic and confounding (many doctors will never see a patient with porphyria in their career), I find it harder to believe that the patients with severe recurrent attacks go undiagnosed. I’ve been valuing this drug on the assumption that the primary users (70%-80%) are those with recurrent attacks, but there could be some room for deviation there. Alnylam also provided some new information and progress with lumasiran, its drug for primary hyperoxaluria type 1 (or PH1). Data from 18 of 20 patients enrolled in a Phase II open-label extension study showed a 72% reduction in urinary oxalate (with a range of 41% to 90%), more or less in line with the prior 75% result, with a durable response (69% reduction at Day 85 for 7 patients). Top-line data from the pivotal ILLUMINATE-A study should be available some time around year-end 2019. Management also announced the initiation of a Phase III pediatric study (ILLUMINATE-B) that will enroll around 8 patients under the age of 6. The primary endpoint will be urinary oxalate reduction (% from baseline) at six months, and data should be available in mid-2020. It’s worth remembering that although Alnylam has a lead in the clinic, Dicerna (DRNA) is also moving ahead with its GalXC RNAi therapy DCR-PHXC for both PH1 and PH2. Data presented late in March suggest a similar level of efficacy (71% urinary oxalate reduction), with a tighter range (62% to 80%). This compound has a different target than lumasiran (the LDH enzyme that converts glyoxylate to oxalate instead of the production of glyoxylate), and it remains to be seen how these two drugs will compare in terms of efficacy, safety, tolerability, and so on. At this point, I model the drugs as basically sharing the market in PH1. I had already considered givosiran approvable and marketable and the more complete data release at EASL really didn’t change much of anything. With the lumasiran update, I’ve bumped my approval odds to 60%, and the top-line data from ILLUMINATE-A later this year is a significant event for a drug that could have more than $700 million in peak revenue potential (even with competition). The change to my odds of lumasiran approval and commercialization bumps my fair value to over $132. The shares looked undervalued before and still look undervalued now, but there is still significant pipeline risk (do the drugs work, and work safely?) as well as commercialization risk, as Alnylam’s drugs target rare diseases where patient identification can be challenging and where there are competitors looking to grab their piece of the market. In any case, I still believe Alnylam is a good stock to consider for those investors willing and able to take on the risk. Disclosure: I am/we are long ALNY. I wrote this article myself, and it expresses my own opinions. I am not receiving compensation for it (other than from Seeking Alpha). I have no business relationship with any company whose stock is mentioned in this article.